Minor league veteran Hank Ertman took over as playing manager of the Huron Elks. The slugger had just finished two seasons in the Triple-A American Association. 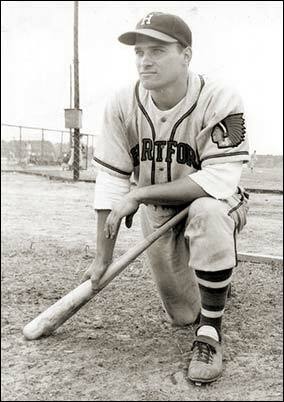 He's pictured from 1949 when he had his best season playing for Hartford in the Eastern League, a farm team of the Boston Braves. Ertman hit .323 and slugged 22 home runs. 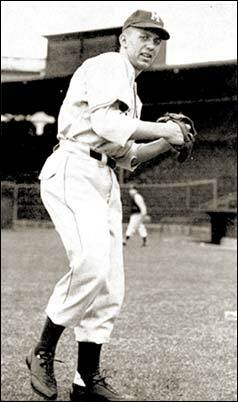 He played for ten seasons in the minors interrupted by military service during the Second World War. He'd be with the Elks for four seasons. Right - right-hander Ralph Pausig of the Winner Pheasant. Pausig was one of the top hurlers for the fabled program at the University of Southern California. 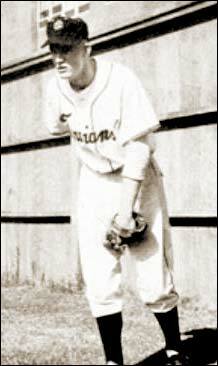 Marv Wisniewski, left-hander, of the Pierre Cowboys came from the University of Michigan.